Beacon Renal was established in 2004 by Beacon Medical Group. Beacon Renal was established in 2004 by Beacon Medical Group. We are now one of the largest providers of Dialysis in Ireland and operate three renal dialysis clinics in Drogheda, Tallaght and Sandyford. 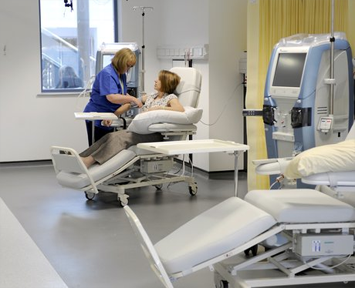 We were the first Renal Satellite Dialysis unit in Europe to achieve Joint Commission International Gold Seal Accreditation in recognition of our commitment to excellence.